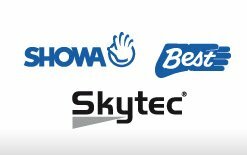 As well as dominating the industrial hand protection market since 1995, Globus, through the SHOWA and SKYTEC brands, has grown to become a major force in the retail sector as well. Some of the most prestigious building projects in the UK, including The Shard and the Olympic Stadium in London have been constructed by workers wearing a product from Globus. And now, gloves expertly manufactured with the same ground-breaking technology form a comprehensive portfolio for retailers. Whether your business is a Garden Centre, Builders, Agricultural or Equestrian Merchant, Globus can supply a range of protective gloves with appropriate merchandising options that will increase loyalty with your customers. 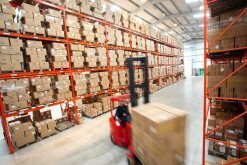 From modern facilities in Manchester, Globus delivers outstanding distribution and support to its customers. This comprises industry-leading delivery response times and extensive inventories of stock in the UK, so guaranteeing consistency of supply.